Riktigt fin håv från Gunki! Perfekt och smidig håv till ditt gäddfiske. 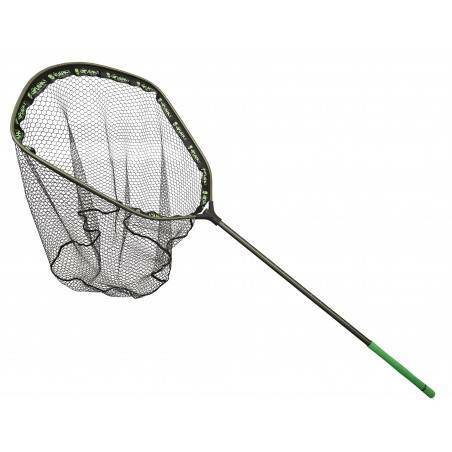 GUNKI PIKE ADDICT net featuring a simple but ingenious attachment system requiring only two turns of the handle to secure the net.. Great for roving anglers who need to set up quickly. Strong 1.2mm aluminium frame. 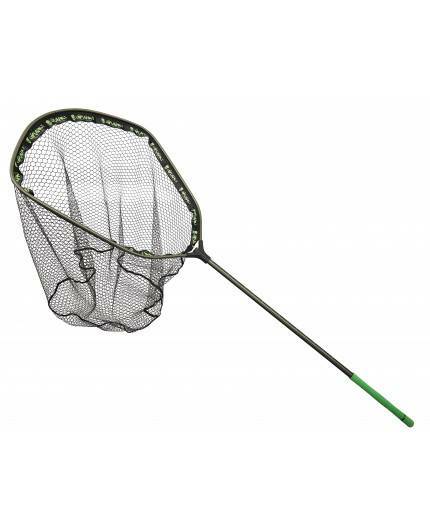 Flat-bottomed net with PVC coated mesh to minimise damage on hooked fish. Collapsible handle with comfort grip made from high density EVA. Tape measure marked out on handle. Packs away surprisingly small for such a big net. Tough construction designed to cope with specimen fish!